Already own a home in the Montrose Village subdivision? Thinking of selling? Click here and read about current search trends & our web network. 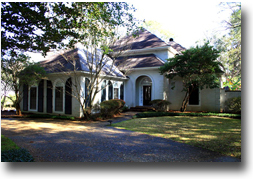 Montrose Village is an area in between Fairhope, AL and Daphne, AL and is situated along the shores of Eastern Mobile Bay. Montrose Village has many of its homes directly on the bay and all have access to the bay. Fairhope, AL has consistently been voted as one of the top places to live in the United States. Montrose Village is approximately 40 minutes from Pensacola, FL and Mobile, AL and also Gulf Shores, AL. The homes in Montrose Village are kind of in the middle of these 3 areas. Both Pensacola and Mobile have regional airports and the things you would expect from larger cities such as a variety of restaurants, shopping and entertainment venues. The school systems in the Baldwin County area are among the best in the state. If you would like to schedule private viewings, need information or have questions concerning Montrose Village property or any other real estate in the area, please email info@condoinvestment.com or call (251) Area-Pro (251-273-2776) for immediate assistance.